In the hot summer, you can enjoy a colorful ice cream as soon as you see it! 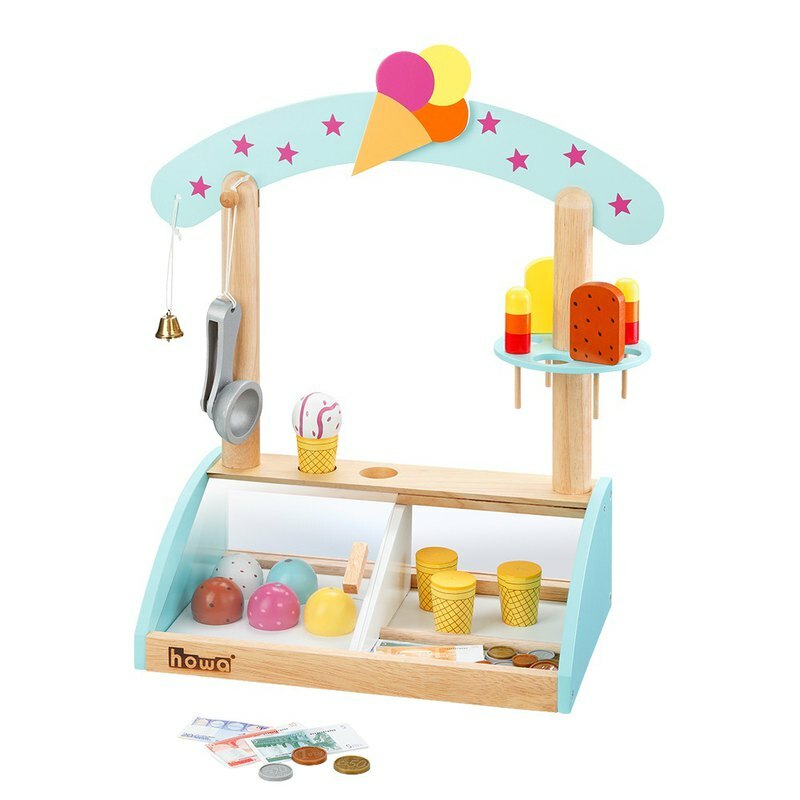 This cute ice cream shop offers a variety of cold and delicious cones, six different flavors of ice cream, four cookie cones, four flavors of popsicles, and an ice cream dig. What tastes do you want today? Come and dig a ball on the cookie cone, take a sip and bite, super happy! Height: 44 cm Width: 42 cm Length: 20 cm *Not applicable to children under the age of three. Due to some small items that may come loose, there is a risk of children jeopardizing eating. * The product may have slightly different colors depending on the shooting relationship. The actual shipping of the product is mainly based on the product. If you are very concerned about this issue or can not accept the color of the real product, please do not buy so as not to cause disputes between the parties.